If you registered with your email address you’ve finished! A confirmation email will be sent to you with your password. Follow the instructions to login to your account. 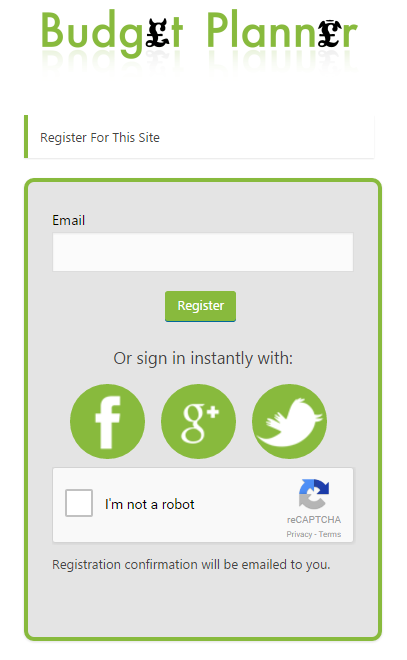 If you choose to register with one of the three social accounts you will be asked to sign in to the social account you chose unless you are already logged in. 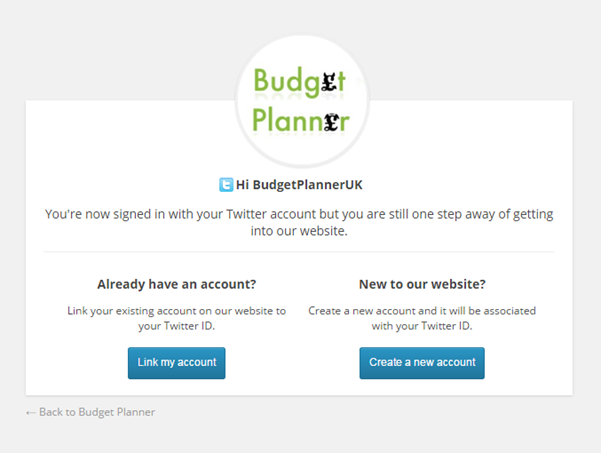 You will then be redirected back to budget-planner.co.uk and asked whether you wish to create a new account or link to an existing account. If you create a new account you may be asked to provide an email address. That’s it registration is complete. For help with getting started view our getting started guide.